Supercars are coming into India quick and how. 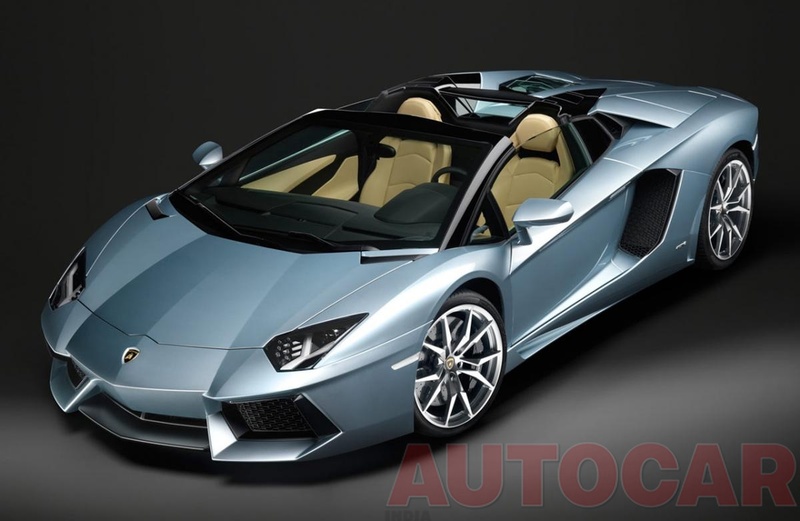 Just after the global launch, Lamborghini is all set to launch the Aventador Roadster in India on the 25th of January 2013. The Roadster will be similar to the coupe except for a few changes. Stay tuned to this thread for more details, prices and pictures. Good to see premium brands offering a larger variety of options in their basket. Being a CBU why not ? As Aventador production is limited to 600 units per year. I dont know how Lamborghini copes with the demand of the Roadster. Suppose say there are 25 ready customers for the Roadster. Knowing the demand globally Not more than 10 Roadsters will be allotted to India. So what about the rest 15 ? It's really shocking that so many rich peoples are there in India! Anyways, it's really awsome looking & blazing fast vehicle, hoping to see it in next K.Jo movie!